A garden of colorful sunflowers makes up this vintage men’s necktie by Boston Traders, circa 1990s. 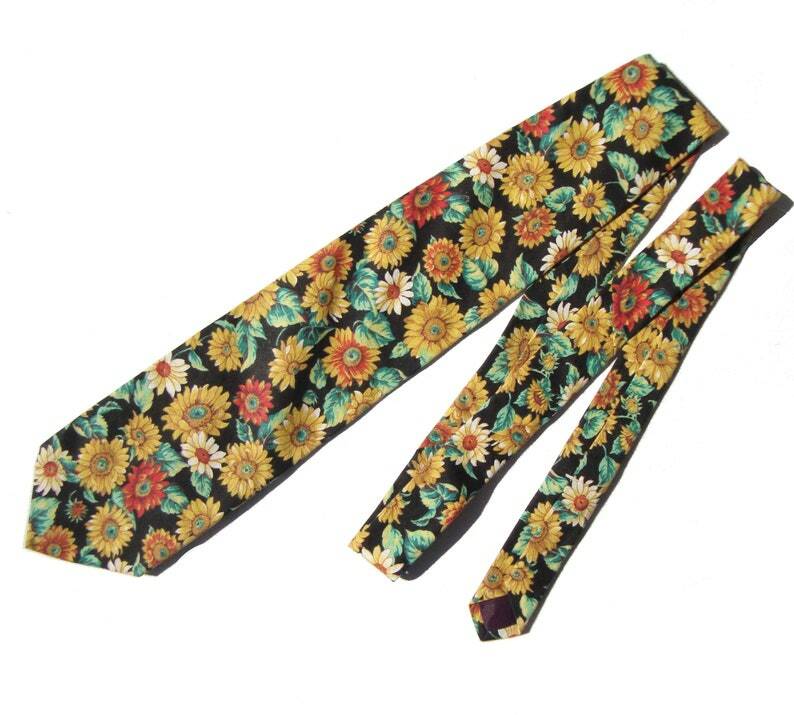 The novelty print tie is comprised of a cotton fabric with full satin lining, and features a floral print of open faced sunflowers in colors of golden and honey yellow, shades of green, rusty orange, and white. It measures approximately 3&5/8 inches across the blade by 56&1/2 inches in length, and has an embroidered label for “Boston Traders” with dog logo.